Beauty Under 10 | Beauty should only take 10 minutes CAN YOU DIE FROM TOO MUCH CAFFEINE? Last month a 16 year old high school student from South Carolina collapsed during class, according to the county coroner, too much caffeine caused the death. During an arrhythmia, or abnormal heart rhythm, the heart may not be able to pump enough blood to the body, and lack of blood flow affects the brain, heart and other organs. 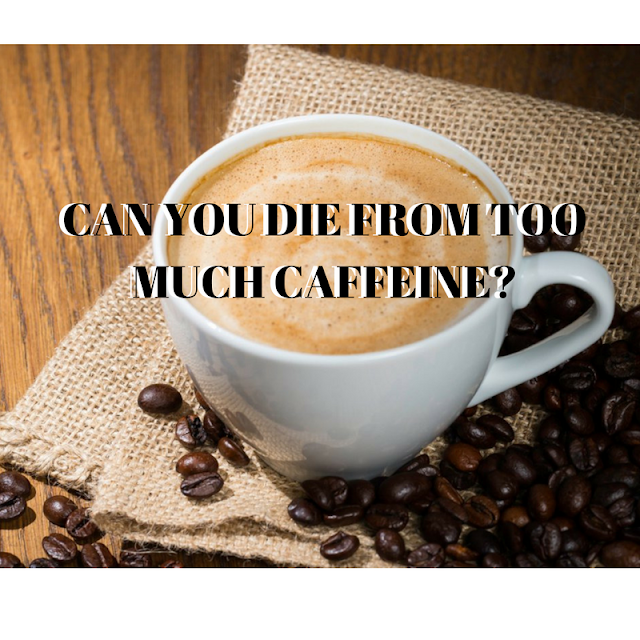 How much caffeine can I drink a day? Most people can safely take in about 400 milligrams of caffeine daily or about 4 cups of coffee, the limit varies from person to person. To keep it safe, health experts recommend a maximum dose of 4 cups a day or 400 milligrams. Like other stimulants, caffeine raises blood pressure, boosts heart rate and temporarily shrinks blood vessels. In excess, the effects can be deadly by causing a heart attack, stroke or other cardio-vascular-related problem. Researchers think daily caffeine intake can increase the risk of coronary heart disease, but the results so far have been inconclusive. It’s also important to realize that medical conditions can affect sensitivity to caffeine. If you have anxiety, panic disorder, heart arrhythmia, high blood pressure, diabetes, take medication or have any sort of medical condition, then you may tolerate less caffeine and should speak to a doctor.